A collection of 500 pre-1800 books were recently relocated to a permanent location in Library and Archives Canada’s rare books vault. The vault is equipped with optimal environmental conditions to ensure this special collection is properly preserved for generations to come. Prior to being transferred to Library and Archives Canada, the books were owned by the Library of Parliament. Most of this collection consists of books published in England or France, and many are multi-volume sets. The subject matter ranges from geography and history to theatre and essays. The permanent location in the rare books vault. 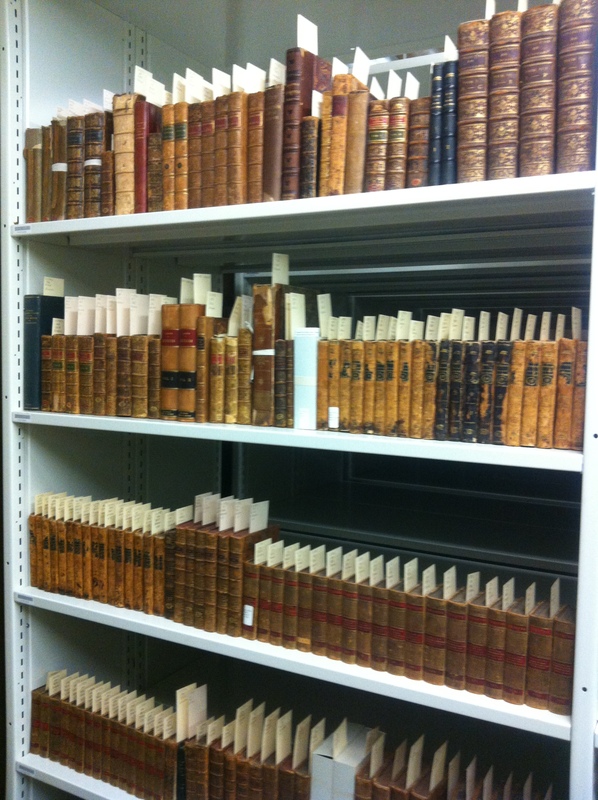 The majority of the books are 18th-century hand bindings bound in full or partial leather. The collection also comprises some books made of paper, cloth or parchment. 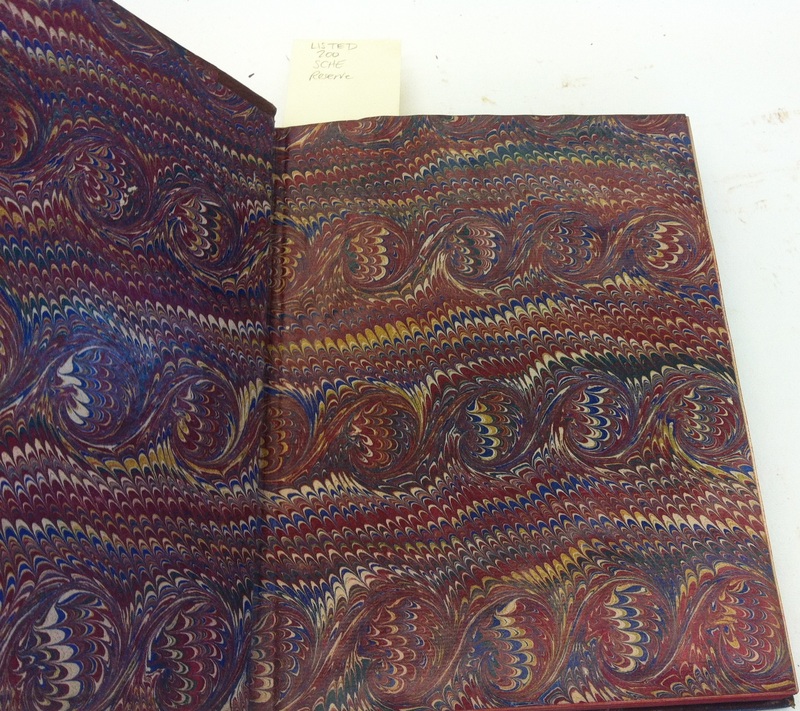 The books are decorated with intricate gold titling and tooling and are often accented with unique and stunning marbled papers, commonly used as the endpapers. 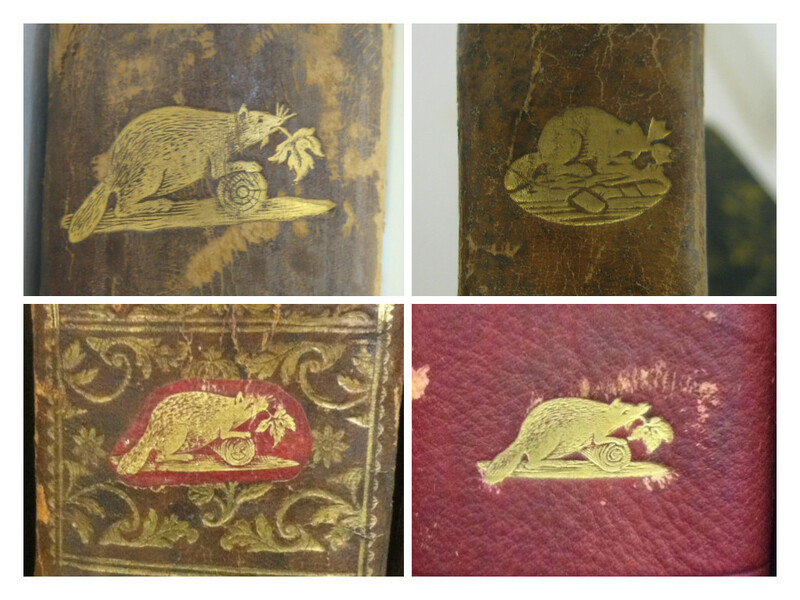 The Library of Parliament “beaver” stamp on the spine of many of the books. The style and intricate details of the beaver changes over the years, but the familiar trademark remains easily identifiable. 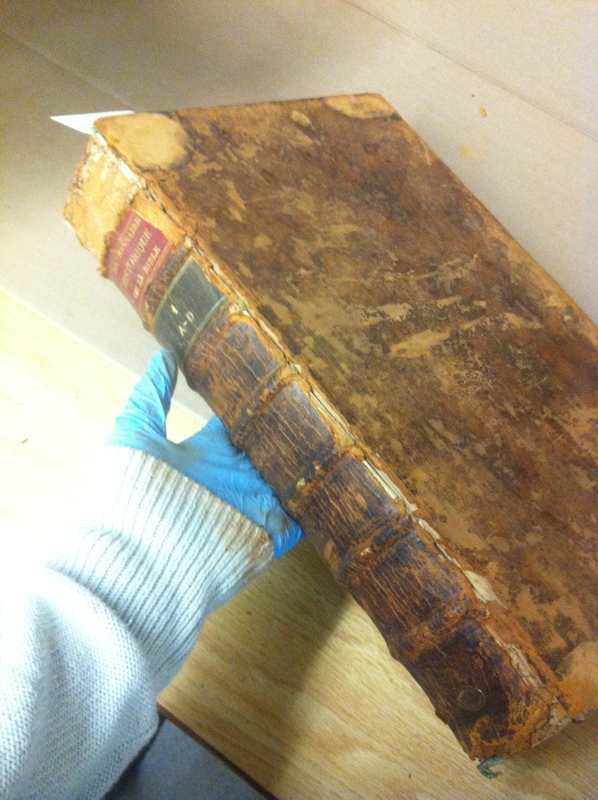 Before being added to the Rare Book Collection, factors such as moisture, temperature, light and dust contributed to the deterioration of many of the books. Although some books are in excellent condition, with the binding structures and text blocks intact, many are damaged and show signs of damage. Some items have suffered from water and fire damage, or contain traces of a pest infestation, while others are weakened and damaged due to centuries of physical use. A large percentage of the collection (approximately 90%) suffers from various levels of leather deterioration. In some extreme cases, the type of damage is referred to by conservators as red rot. The deterioration of leather is a common issue in leather from this period as the tannins used in the manufacturing process contain chemicals that, over time, and in the presence of oxygen, undergo a chemical change that breaks down the leather molecules. This causes the leather to weaken, flake and powder. An example of red rot—the term describes the red-coloured powder that appears on the surface of badly deteriorated leather. So much can be learned from this collection of historical and beautiful books. Check back with us for the next blog posts on the physical inventory of this collection , which includes a detailed inventory of the state of the collection, the levels of conservation treatment required, the material composition of the books, type of decorations, etc. Also have a look at the following post, detailing what steps will be taken to preserve this fine collection. 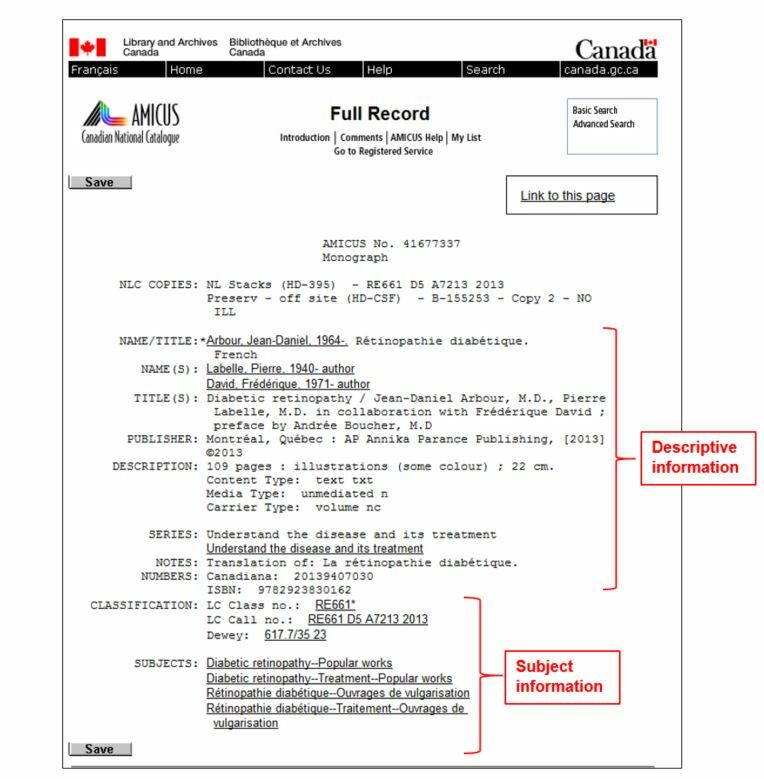 Did you ever wonder why and how Library and Archives Canada (LAC) puts its stamp on your personal reading material, and on pretty much every publication published in Canada? The answer is simple. 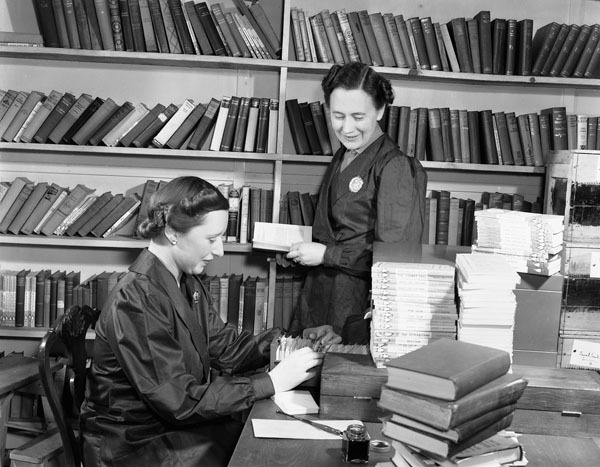 Cataloguing in Publication, or CIP as it is commonly known, is prepared by librarians ahead of a book’s launch date. CIP allows Canadian libraries to pre-order a book, catalogue and classify it quickly, thus putting it into the hands of library patrons faster than if each library had to do all the cataloguing and classification work themselves. 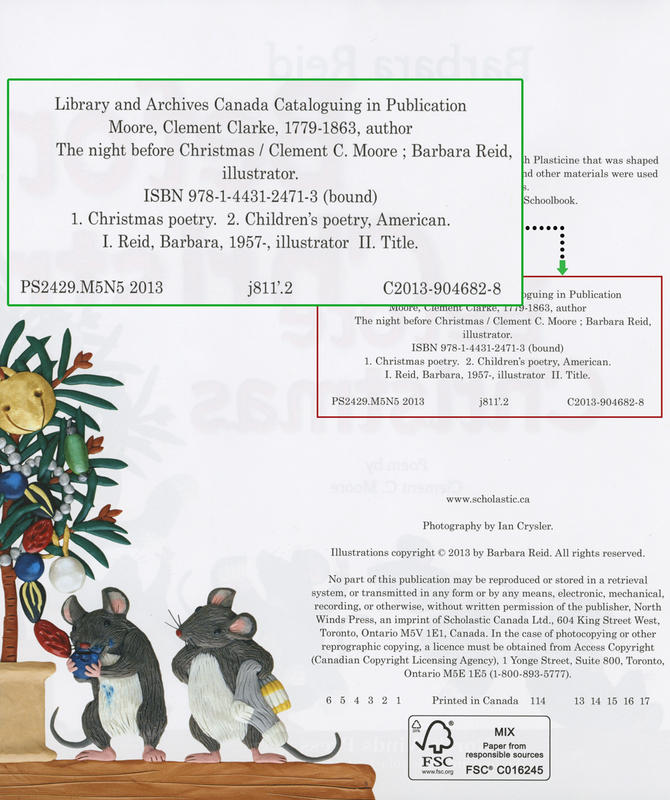 Nearly 9,000 new Canadian publications a year are catalogued by the CIP team, a group of about ten cataloguers in LAC’s Description Division. The team works closely with dozens of publishers across the country in an effort to share metadata about Canadian books worldwide. The Canadian CIP Program, which has been in existence since the 1970s, is one of the great success stories of LAC, and one that keeps repeating itself, one book at a time. To find out more about the program, visit Cataloguing in Publication. In our post on “How to Find Digitized Publications”, we promised to share more recommendations from our reference specialists about where to find digitized publications. The following sources point to a wealth of publications from across Canada and from specific regions. books. The Internet Archive includes many digitized federal government and parliamentary publications from Library and Archives Canada’s collection. Once you have found a work of interest, you can then use full-text searching options provided by the website. wide range of historical materials such as books, journals, newspapers, government documents, photographs, and maps. from across the country permits full-text searches for family names, place names and events. books and musical scores, reference works, maps and plans, and images. [http://www.banq.qc.ca/collections/collection_numerique/index.html?categorie=1]includes the Lovell’s Montréal directories starting in 1842. Peel’s Prairie Provinces is an indispensable research resource on Western Canada and its history. 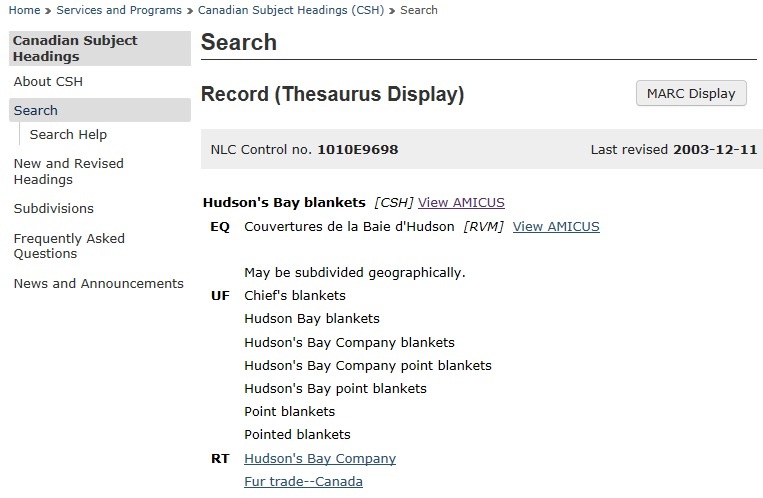 It includes a bibliography with over 7000 fully searchable digitized books [http://peel.library.ualberta.ca/bibliography/], many dating back to the earliest days of exploration in the region. A growing repository of records and images held in Prince Edward Island’s libraries and museums. Of particular interest are the digitized newspapers [http://islandarchives.ca/inewspapers] and maps [http://islandarchives.ca/imaps].